MAX will again countdown of The 1000 Greatest Songs of All Time over the Easter long weekend from noon Friday April 19 until Monday April 22. 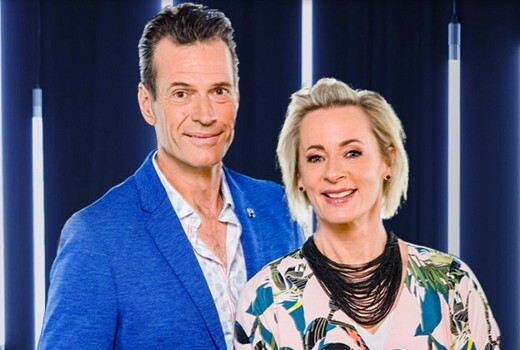 Brendan ‘Jonesy’ Jones and Amanda Keller will host the countdown compiled from viewer votes, industry experts, chart ratings and song popularity (isn’t that chart success anyway?). “Jonesy and I don’t always agree on which songs should be where in the countdown, but that’s part of the fun! It’s always so interesting to see where your favourite songs place in a countdown like this, and I can’t wait to see who makes it to the top 10 and takes out the number one spot,” Amanda Keller said. “Power to the people! I love countdowns like this because you get to hear so many great songs you haven’t heard in ages, there is no better sound track to the Easter long weekend!” Jonesy added. You can vote from a pre-selected list here, with a chance to win $5000. These polls are inherently flawed.